Commercial radio has attracted a higher share of digital radio audiences than the BBC for the first time, with record-breaking performances by Bauer Radio's Absolute 80s and Kisstory stations in April through to June 2015. 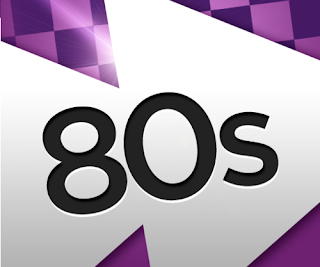 Absolute 80s is the No 1 commercial digital only station growing by 29% to a new record of 1.6 million listeners, closely followed in second place by sister station, Kisstory, which grew by 33% to 1.5million listeners. The majority of Bauer Radio’s listening is via digital (53.3%) with Absolute Radio boasting 79% of its listening to digital platforms. Meanwhile, Global Radio's LBC, having launched nationally on the Digital 1 multiplex in 2014, and Freeview earlier this year, showed strong digital growth of 41% to 771,000 digital listeners. Capital XTRA grew on digital platforms by 27% to 511,000 digital listeners, whilst the Gold Network grew by 22% to 612,000 digital listeners with over 50% of its listeners being digital for the first time (51.6%) - although Gold is now only available on analogue radio (AM) in a small number of locations. Although commercial radio enjoys a bigger slice of the market, the BBC's 6 Music becomes the most listened-to digital radio station, after temporarily losing the top slot to Radio 4 Extra during the first three months of the year. BBC Radio 6 Music has 2.06 million listeners.